Have you ever tried High Intensity Interval Training? It's extremely popular for improving strength, fitness, and leaving participants in a pool of their own sweat at the end. Scroll down as 3 days of HIIT are on tap for this week's WOW. Got tight hips? How about t-spine mobility? Is it bad? Do you also need to activate your core and stabilize your shoulders? YES?!? Fantastic! Choose one of these two mobility and activation series a try before your next workout (especially good before a squat session) or you can use them as a stand-alone exercise/stretch. ***I'm sorry my voice is so weirdly quiet on the voiceovers... it was early, my kids were still sleeping... apparently, this is how I speak under those conditions. Admittedly, "functional" training is very buzz-wordy right now. But, when you strip away the sensationalism, you are left with a very purposeful approach to training that can vastly improve your day-to-day life. From shoveling snow to carrying groceries to moving around boxes or even an impromptu foot race with your kids or friends, functional training can get you ready for whatever life has in store. 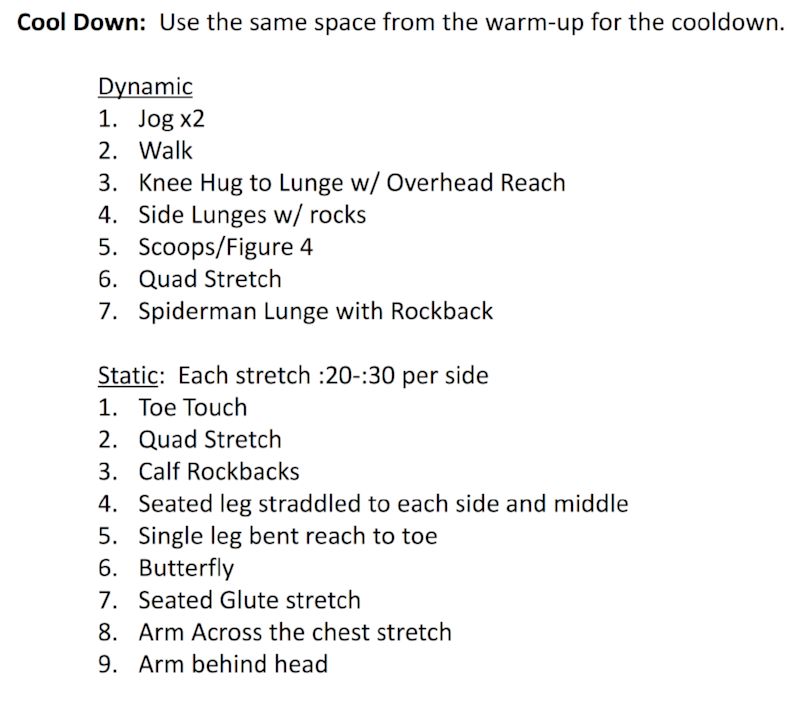 Here is week 4 of the 8-week conditioning program. If you are interested it giving this a try, head on back to Week 1 to get started!